Your foe did not stand a chance once you decided to face them on the battlefield! The Goblin Trophy Ear acts as a physical reminder of your victory taken from the fallen enemy - a warning to any who challenge your supremacy! The realistically sized latex ear looks like it has been cut off a goblin. The pointed ear is stuffed to give it mass and texture, and thickened, rough edges at the base mimic blood clots. The dark green ear shows off touches of red coloration to imitate blood. 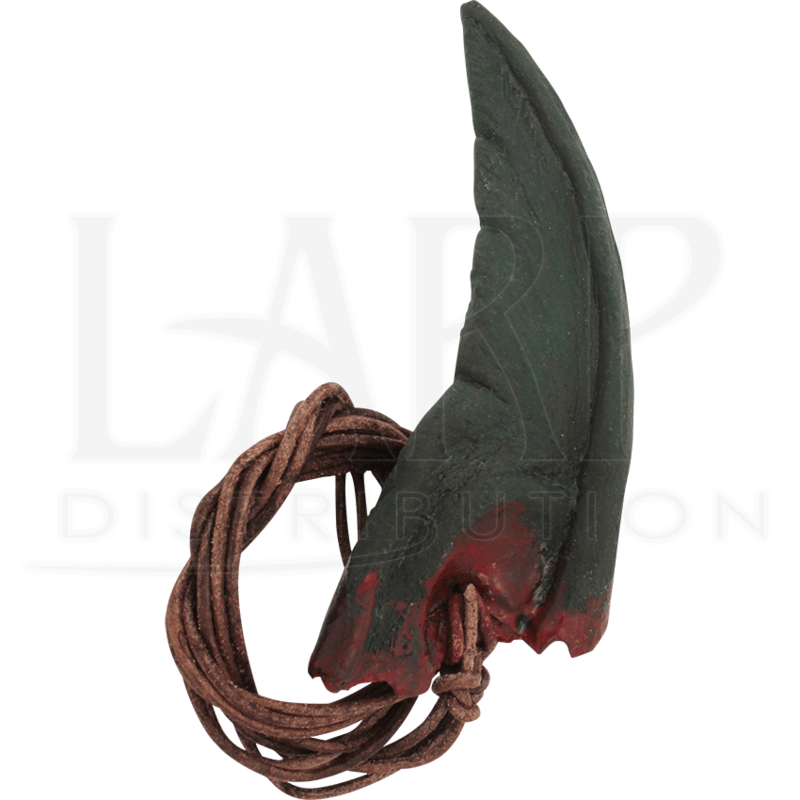 Suspended from a leather cord, the trophy ear can be worn around your neck or hung from a branch or pole. 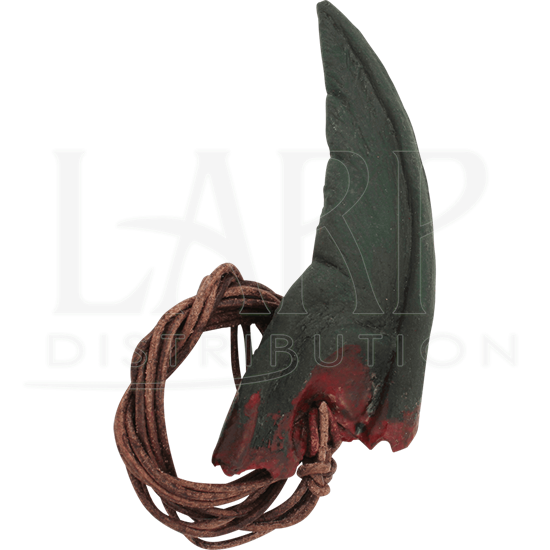 Ghastly to behold, this LARP accessory will ensure that you make a fierce impression wherever you go!